In this Chapter, a MATLAB-based approach is presented for compression of Electrocardiogram (ECG) data. The methodology employs in three different domains namely direct, transformed and parameter extraction methods. The selected techniques from direct ECG compression methods are TP, AZTEC, Fan, and Cortes. Moreover selected techniques from transformed ECG compression methods are Walsh Transform, DCT, and Wavelet transform. For each of the technique, the basic implementation of the algorithm was explored, and performance measures were calculated. All 48 records of MIT-BIH arrhythmia ECG database were employed for performance evaluation of various implemented techniques. Moreover, based on requirements, any basic techniques can be selected for further innovative processing that may include the lossless encoding. In current era, patient monitoring systems are gaining importance which results in ever increasing data volume of various biomedical signals such as Electrocardiogram (ECG), Electroencephalogram (EEG) and Electromyogram (EMG). 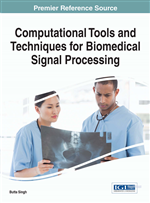 One of the open research problem in biomedical signal processing is the development of efficient data reduction technique (Sabarimalai Sur & Dandapat, 2014). Such techniques rely on maintaining a trade-off between minimization of reconstruction error and maximization of Compression Ratio (CR). ECG monitoring facilitates in providing faster health status of the concerned patient to the health care centre in case of the hostile cardiac behaviour. Cardiac monitoring using ECG signal is the best representative of heart electrical functionality and had proven to be effective in the diagnosis of most of the heart diseases. For continuous monitoring of patient’s health status, the ECG signal is recorded for long time durations typically for several hours or few days. The storage of such huge volume of data requires large memory space, for example, a three-channel ECG signal sampled at a frequency of 1 kHz with 11 bits of resolution in three lead system of a particular patient, recorded for 24 h requires 928 MB of memory size per channel without any overhead. Such huge volume of data is also expected to have inter and intra beat correlation or inherent sparsity (Lee, Kim, & Lee, 2011; Ma, Zhang, & Dong, 2015). So in the present chapter, a brief analysis of algorithms, mathematical background and its simulation implementation using MATLAB, for ECG data compression will be discussed. In order to make the ECG compression technique as a practical tool, this chapter is intended to refer to the MATLAB based routines. Matlab code (.m) of the most common ECG compression methods and algorithms are demonstrated in this chapter. The performance evaluation of any ECG data compression techniques can be broadly assessed through following six parameters namely 1) Compression Ratio (CR), 2) Percent Root Mean Square Difference (PRD), 3) Percent Root Mean Square Difference Normalized (PRDN), 4) Root Mean Square (RMS) error, 5) Signal to Noise Ratio (SNR), 6) Quality Score (QS). These six qualitative performance evaluation parameters mentioned above are extensively used in literature for accessing the efficiency of any of the compression techniques. The compression measure CR is equally applicable to both domains where there is difference or same sample resolution in compressed data. The degree of distortion measure in reconstructed ECG signal is primarily computed with respect to the original data, based on the visual as well the qualitative evaluation. The six qualitative performance evaluation parameters mentioned above are extensively used in literature for the comparison purpose (Batista, Melcher, & Carvalho, 2001; Blanco-Velasco et al., 2005; Lee et al., 2011). The comparison of existing ECG compression methods using the above mentioned performance measures can be carried out, by performing experimentations over most cited Massachusetts Institute of Technology - Beth Israel Hospital (MIT-BIH) database. Any digital data source has inherent redundancy, if the generated symbols are not equi-probable. The fundamental goal of any data compression approach is efficient data transmission or storage while preserving the significant diagnostic features. The process of data compression seeks to reduce the number of bits of information required to store or transmit digitized ECG signals without a significant reduction in the signal quality (ECG features). Data reduction of ECG signal is achieved by discarding digitized samples that are not vital for rhythm interpretation. For such data reduction, compression techniques are designed, which are classified as lossless or lossy techniques. The lossless data compression guarantees the integrity of reconstructed data at a compromised CR, typically CR level of 2 to 1 with exact replication of original ECG while the lossy data compression achieves a high compression ratio with varying level of reconstruction error. For ECG data compression, mostly the lossy type has been applied due to its capability of a high data compression ratio. The efficiency of any compression algorithm can only be evaluated after reconstructing the original signal through the process of decompression. The PRD is used as a similarity measure for the reconstructed and original ECG. The ECG data compression methods can also be broadly divided into three categories namely direct method, transformed method and parameter extraction method.